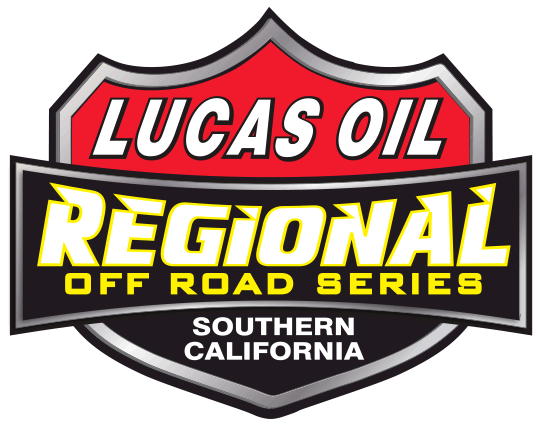 Round 6 of the Lucas Oil Regional Off Road Racing Series of Southern California was held under the lights at Glen Helen Raceway in San Bernardino, Ca August 4. Two more events are scheduled for the series and will be held October 6-7 San Bernardino County Fairgrounds in Victorville, Ca. Following is the night’s podium winners. In the RZR 170 action Travis Sallee set quick qualifying time then backed up his speed in the evening event crossing under the checkers ahead of George Llamosas. Current points leader Jaxx Lambert finished third. Connor Barry is the current series points J2 Kart leader and was able to show his winning speed again by taking the win over Holden Heitritter Saturday night. Niko Lopez was third. In the Mini Open / Bushwacker Open V8 / Desert Buggy / Pro Practice Kipp Mickels set fastest qualifying time but Mickels would end up third in the evening event. Yuichi Takahaski took the checkers with Mason McCarthy crossing over third. Topping the podium in the AM Ortega J1 Kart class was Logan Leggitt. Johnny Miller was second and Jared Juliano finished third. Brody Eggleston set quick time out of 16 contestants in the Bakersfield Karting Experience Modified Kart class. Eggleston would later that evening finish third as third quick qualifier Mason Prater took the checkers. Caden Fluegge was second. In the Sat-T-Co Mini Stock class Robert Orr was quickest during qualifying with Evan Bradford second fastest. When the checkers came out that evening the two had switched with Bradford taking the win and Orr second. The two go into the final rounds with Bradford leading the series 313 to Orr’s 302 earned points. Bryce Romine finished third. Myles Cheek continued his winning ways in the STEEL-IT Prod 1000 / Unlimited UTV / 5150 Whips Production Turbo UTV action. Nathan Barry was a close second place finisher with Dustin Nelson third. In the Limited Buggy / 1600 Buggy battles it was Kyle Knott setting quick time in the class of 9 competitors. The race showed Knott holding his speed as he took the win over Matt Brister with Greg Pierson third. A field of 14 Weller Racing Sr1 Pro & Pro Am cars qualified with Bryan McCormick setting fast time. Later that evening McCormick took the checkers with Scott Webster crossing over second and Matt Lund rounding out the podium. In the Empire Destructive Pro Buggy action Trey Gibbs set quick time over the 10 qualifiers. When the checkers came out it was again Gibbs crossing under first. Gabriel Torres was second and Steve Clabaugh finished third. Cory Winner was fastest Fabtech Pro Lite qualifier. There were eight in class that saw Winner take the checkers over Ronnie Anderson later that evening. Kyle Knott finished third. In the TIS Wheels Pro Open action Ricky Gutierrez was able to set quickest qualifying time and then used the speed to take the win that evening. John Gable was second with Erik Jacobus third.